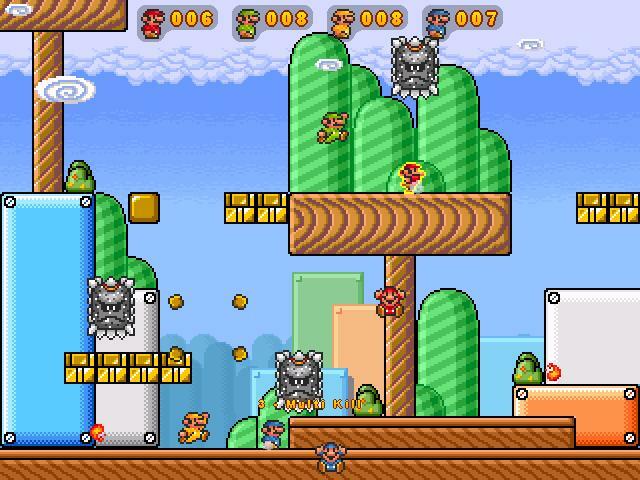 Description: It is a tribute to the old "versus" Mario games with a wealth of features and game modes. The goal is to primarily hop on your opponents, though powerups such as Fire Flowers, Hammers, Invincibility and more are available to help you defeat your foes. AI "bots" are also available and are usually quite a challenge, though their performance can vary from map to map.